In the shaded space located next to Shipley Donuts on S. Lamar Blvd. sits one of the only locally-owned and operated pharmacies in Oxford. Since 1979, G&M Pharmacy has served the community of Oxford with precise attention and care. Patients walk through the front door and into the pharmacy knowing that they are the priority and will be treated like family. Weston Humphreys, operational manager at G&M Pharmacy, said he anticipates debuting a Medicare enrollment program to help patients find the best option for them. Photo by Evelyn Angle. In January 2018, Bob Lomenick purchased G&M Pharmacy. 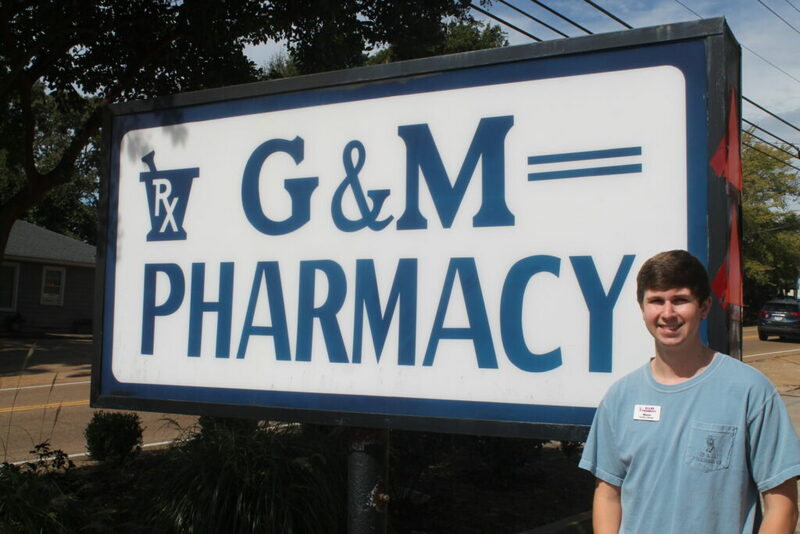 As a University of Mississippi School of Pharmacy graduate, Lomenick said he strives to maintain the inviting atmosphere of the pharmacy as well as implement several new, beneficial programs for patients. Much of the day-to-day operations of the store fall to operational manager Weston Humphreys. He said one of many programs the pharmacy has to offer is their Med Sync program that takes the patient’s medications and synchronizes it with a dosage schedule to ensure they are taking their medications as directed. “The services that we have to offer are a great strength and all the classes that we plan to hold downstairs are going to be really beneficial to our business,” Humphreys said. 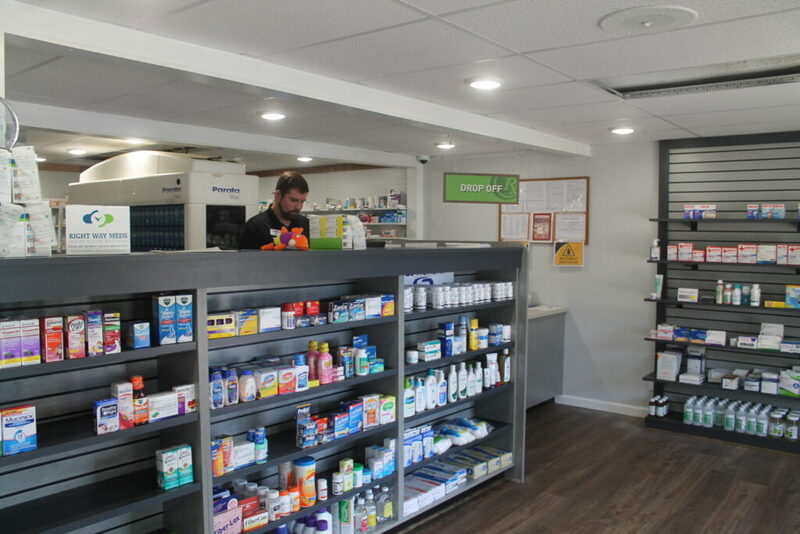 Every month, in accordance with each patient’s prescription, the pharmacists at G&M give patients who are enrolled in the program a call ahead of time to ensure they are not only picking up their medicine, but also taking it properly. G&M Pharmacy will soon offer flu shots and other vaccinations when they kickstart their new clinical program. Photo by Evelyn Angle. In addition to the Med Sync program, G&M is also starting a new clinical program which will be located on the bottom floor of the pharmacy. They plan to offer flu shots and other types of vaccines in the near future. Patients over the age of 65 can come in and be assisted in finding the best Medicare plan for them. This clinical service would be free of charge, Humphreys said. The patient would come into the clinic, review their current medications with a staff member, and proceed to decide what program would be the best fit and what Medicare plans they qualify for. G&M will also offer diabetes and heart healthy classes for people who are newly diagnosed. In these classes, patients will learn what diabetes is and how to form a proper diet. They plan to partner with local doctors and hospitals so that these classes held at G&M can be prescribed to patients, Humphreys said. “We aren’t in the business of filling prescriptions, we are in the business of serving patients and making sure that they adhering their medicine and giving them healthier lives,” he said. 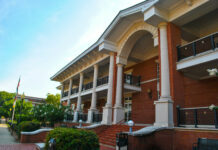 For more information about G&M Pharmacy and its programs, please follow this link.